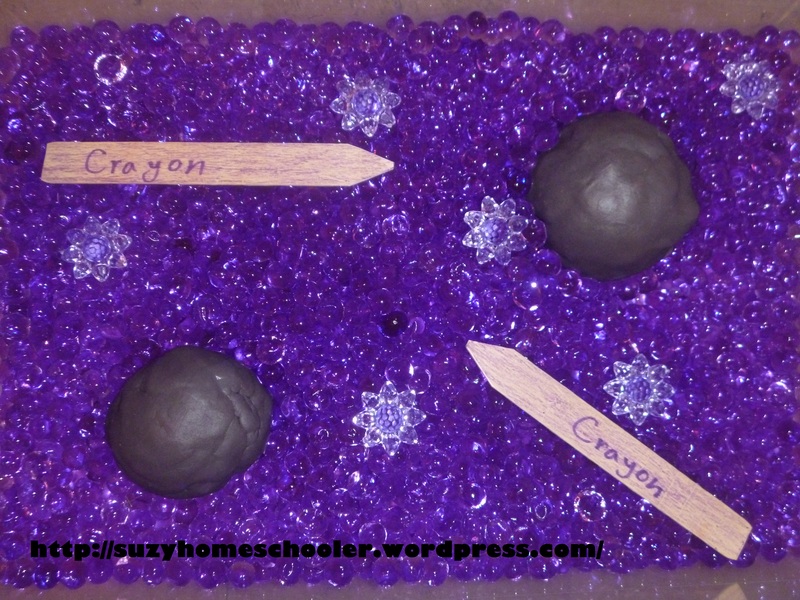 1- Sensory Bin: Purple water beads (please be careful to watch your children with waterbeads, any child who puts things in their mouth should not be given waterbeads to play with), Kool-Aide scented playdough, purple flower shaped gems , and “crayons.” I made the crayons by snipping the end of popsicle sticks to resemble the shape of a crayon, wrote “crayon” on the side in Sharpie marker , and colored it with purple crayon . 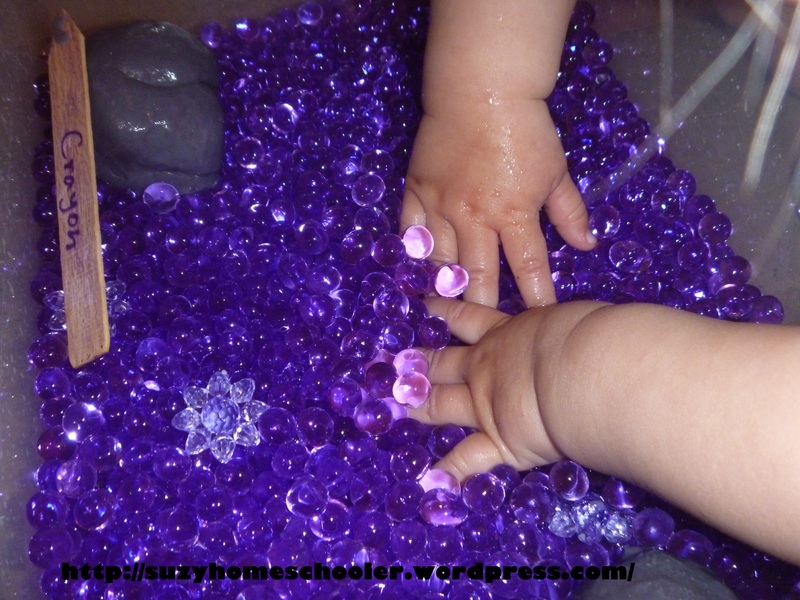 SunnyGirl can never get enough waterbeads! She loves these things and I can’t blame her, they are too fun! 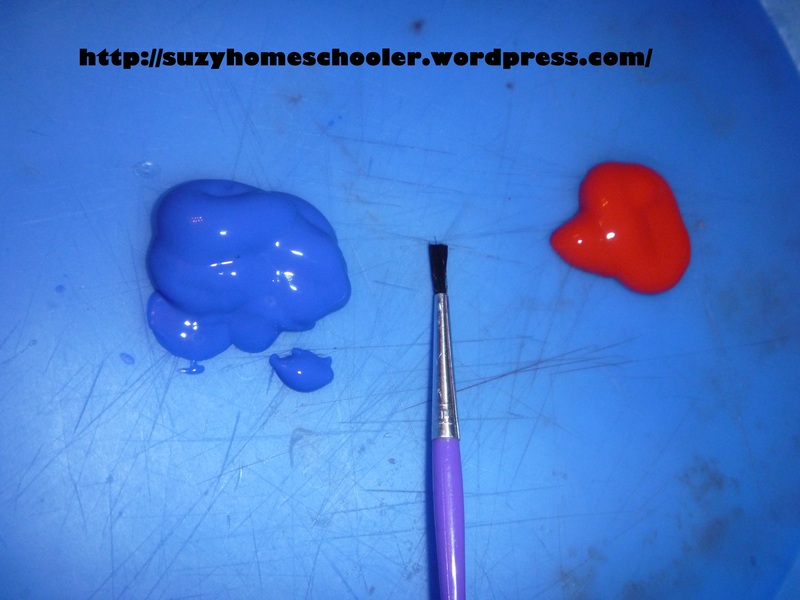 2- Color Mixing: Pretty self explanatory, blue and red make purple. Its art, its science, its messy, its fun. Enough said. 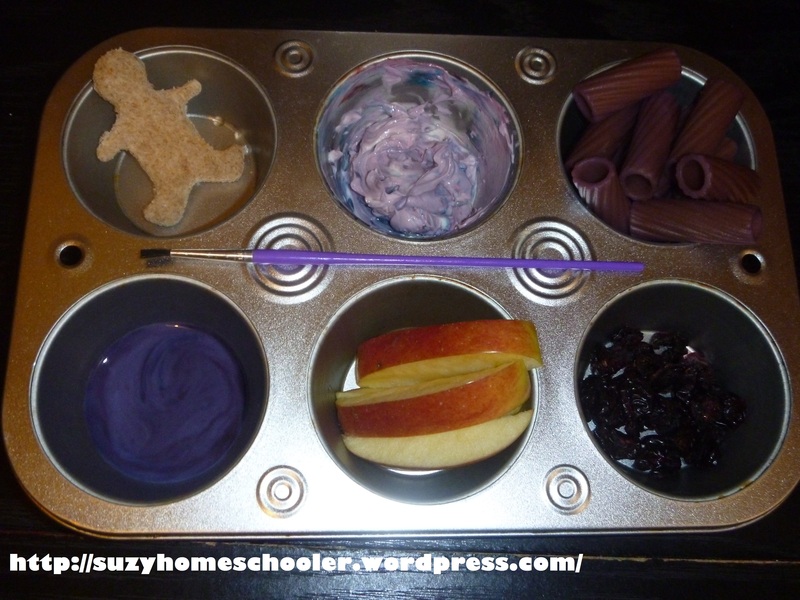 3- Muffin Tin Snack: Left to right and top to bottom: bread cut with cookie cutter into “Harold shape,” cheese smear [colored with food dye] to dip pasta into, pasta [also colored with food dye], “edible paint” to paint the bread (tbsp milk, 1 drop blue food dye, 1 drop red food dye), apple slices (like from the apple tree in the story! ), and raisins (for no other reason than the fact that they are the only purple food we had in the house so I didn’t have to dye them, lol!). 4- Literacy Practice: Simple letter matching and a conversation prompt on phonics. 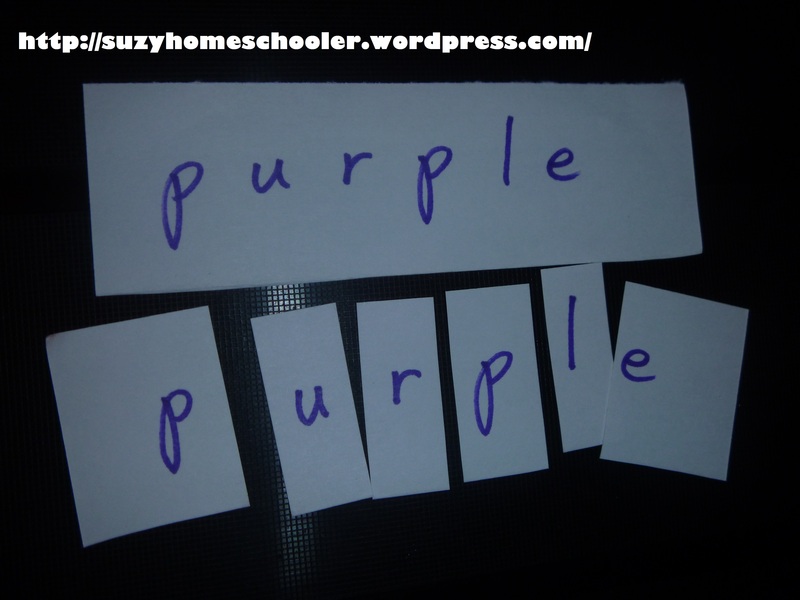 All I did was cut a note card in half length-ways, write “purple” on both halves in purple marker, then cut up one of the halves into individual letters. LittleMan uses the whole half as a guide to assemble the letters of the other half, as he does so we talk about the sound each letter makes and sound the word out together. 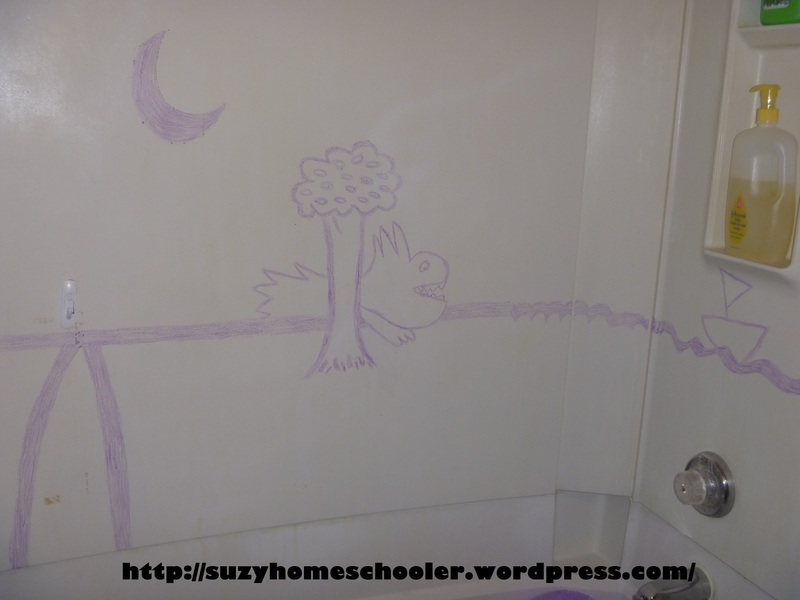 5- Theme Bath: I used a purple crayon to draw scenes from the book onto our bathtub walls. 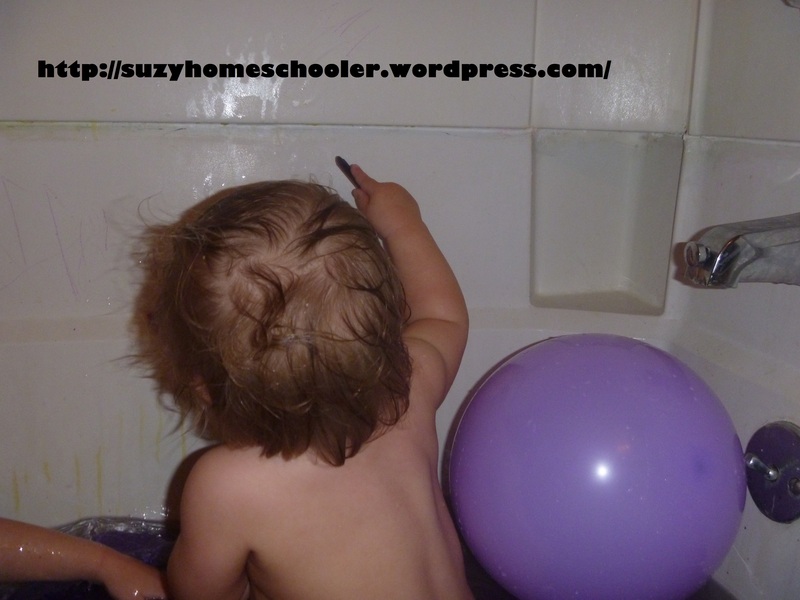 In the bath I included a purple balloon, purple balls , purple water, and a cup of purple crayons. 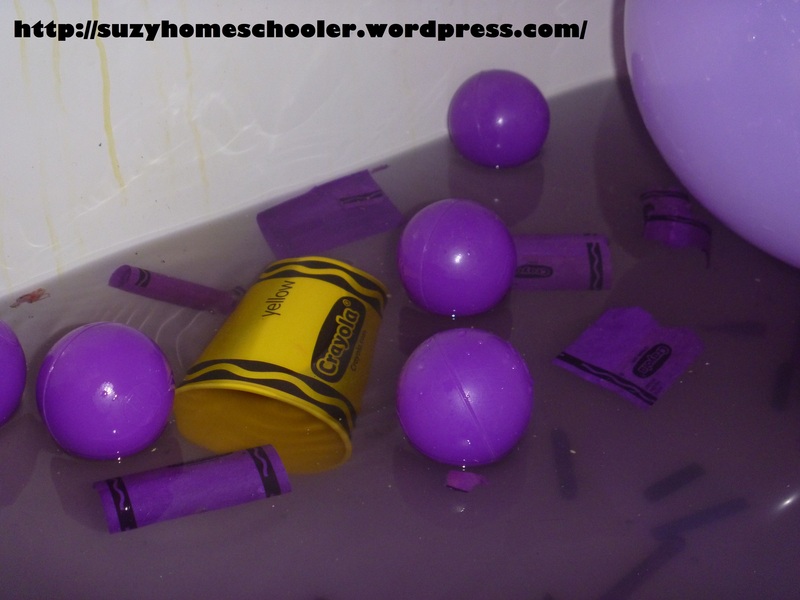 The purple crayons started out nice and neat in a little cup but by the end of the bath they were all floating in the water with their paper labels removed. Now that the labels are removed, I think I might invite LittleMan to help me melt them and make new shaped crayons tomorrow. The only disappointment about the bath was when I tried to make purple bath paint. 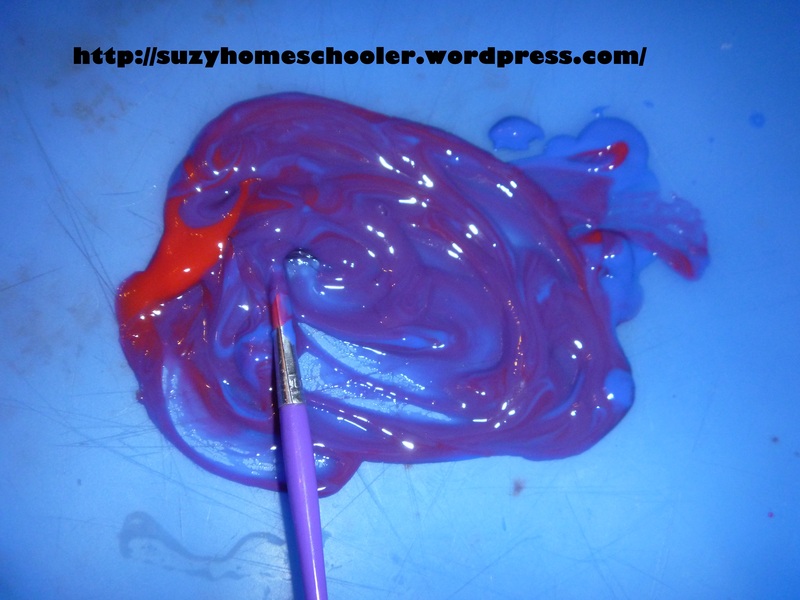 I used the same method I used in our red bath and our shamrock bath (mix one packet of Kool-Aid into a bowl of shaving cream) but the result was awful. 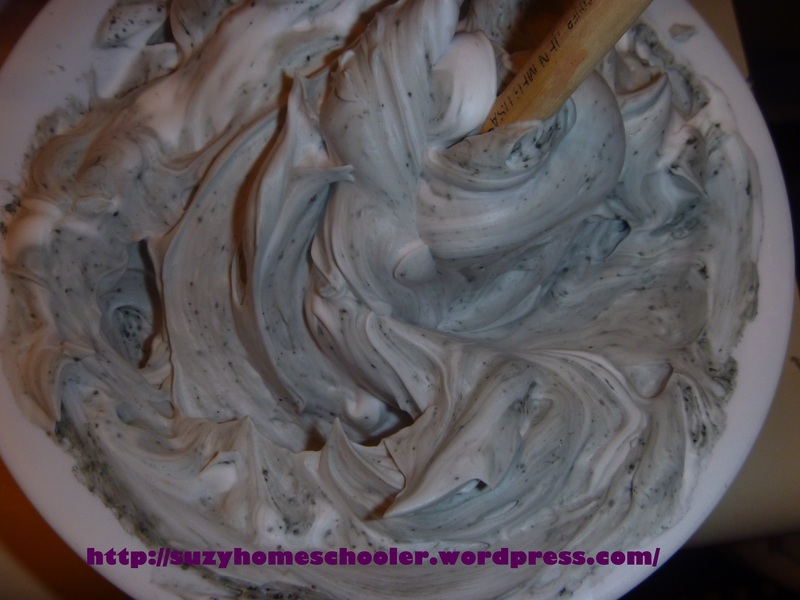 Grape Kool-Aid only served to make the shaving cream grey in color. I tried to add blue and red food dye hoping to turn it purple but it just turned a darker grey. Oh well. At least we know Lemon Lime (green) and Cherry (red) work wonderfully. 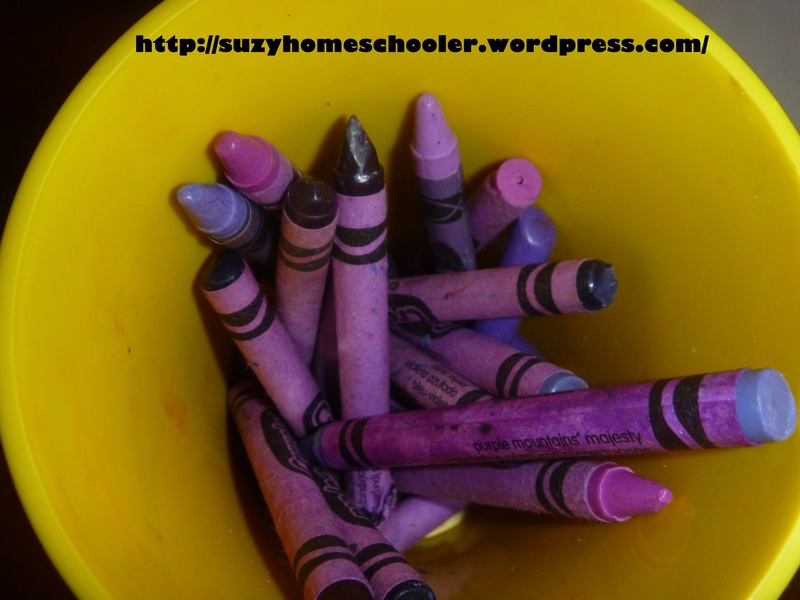 I wonder how Orange Kool-Aide would fair as bath paint….